Located in the heart of Sainte-Adèle in a heritage home, the Richard Hevey Art Gallery welcomed it’s first visitors in the fall of 1978. 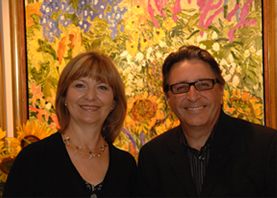 Since then, the owners Nicole Brown and Richard Hevey have striven to offer to art collectors from all across North America quality paintings from reputed and well established Québec artists. It is with a renewed pleasure that we welcome you to Sainte-Adèle to advise and guide you for your next acquisition.